Once upon a time, Apple created a Mac Mini around 2007. It was the entry level model with 1.83 GHz Core 2 Duo processor and 2 GB of RAM. At this time, this wasn't the best specs but it wasn't bad either. Well, someone decided to purchase this Mac Mini but for whatever reason, they decided to return the Mac Mini. I'd like to think it was so they could purchase a more expensive Mac. Apple accepted the return and inspected the Mac Mini, corrected any issues, and decided it was still in great condition. They wanted to sell it again but they couldn't sell it as new because it no longer was. Apple decided to label it "Refurbished" and sell it for a lower price. The refurbished Mac Mini was now for sell. Around this time, I was researching Apple computers but I didn't want to spend a lot of money to get a Mac. I wasn't completely sold on the idea, thinking all computers are the same. Around this time my coworkers and I were discussing ways to create media center PC's. One coworker thought a Unix computer was the way to go while another thought a Windows computer was the best choice. I wasn't so sure. I had my eye on an Apple computer running OSX, but I wasn't sure about my software options. Since I was thinking about a media center computer, I thought most Mac computers were too expensive and large for my purpose. I wanted a computer that could easily sit in my entertainment center that wasn't loud and looked like it belonged there. Searching through the Apple site, I found the Mac Mini and instantly liked how Apple had built a computer in such a clean, compact package. But even the entry model was a bit more than I was willing to pay, just slightly. Somehow I found Apple's refurbished computer section. Unfortunately, they didn't have any refurbished Mac Minis. I kept revisiting Apple's refurbished section week after week until one day, I saw the refurbished Mac Mini. The refurbished Mac Mini was the entry model but was about $100 cheaper than normal. I had started researching and found a company that specialized in Mac upgrades. At this time, I could upgrade to 4 GB of RAM for about $100. I liked that idea so much that I purchased the refurbished Mac Mini saving $100 and then used the savings to purchase the RAM for upgrade. I purchased my first Mac! Continue to The Refurbished Mac Mini Story Part 2: The Software!!!! Mini iPad or iPad Mini? When the iPad was introduced to the masses, it was groundbreaking. That's just my opinion but I think most people would agree. This wasn't too long ago. Remember, this was a time when it seemed like everyone was using Windows operating system. There were a few people that had ventured off to OSX and Linux. Netbooks were supposed to be the next big technological advance. It didn't seem as if they had the processing power or RAM needed of an ultra portable device. It seemed Apple was either the first to notice this or the first to find a better solution. All of a sudden, there was the iPad! It came with a screen large enough to see whatever you preferred clearly and a touch screen capability so you could easily navigate. Of course, Apple had ventured into the tablet market before but not with the same success of the iPad. Will the Mini iPad have the same success as its bigger brother? At the time of the iPad's introduction, Apple was surging. Apple was a revived company that had introduced their iMac computers with decent success. Then they introduced the iPod which changed how the world listened to music. Apple also introduced us to the iPhone. All of a sudden, we were carrying a small computer in our pockets. Even though the iPhone had a lot of the capability that most people needed, there seemed to be something missing. We carried laptop computers because there was no way we were transporting our computer towers and monitors. All of a sudden, the laptops began seeming too bulky for travel, but the iPhones seemed too small for watching videos and extended travel. Then came the iPad! The Mini or the iPad? We all know the iPad was introduced first. But do we know if Apple had already tested a Mini iPad? Maybe the first iPad ever tested was the size of a Mini iPad. Maybe then Apple decided they needed something with a larger screen. Of course, this is just speculation. I don't know Apple's testing process for creating the iPad. When you think about the first iPad and the features it had, how well does the iPad Mini stack up? I will agree the iPad Mini does not have the same Retina display and resolution of the current model iPad. Yet, when I tested the Mini iPad in the store, there was something very familiar and enjoyable about it. It was so light and maneuverable. Apple says the iPad Mini is "every inch an iPad". The next time you're in your local Apple Retail Store, make sure you try out the iPad and the iPad Mini and decide if the iPad Mini is truly a Mini iPad. Cookoo: Watch of the Future? Technology is always advancing but sometimes, it just seems like technology is stuck in one place. When that happens, sometimes all it takes is one new, great device to get technology moving again. Apple proved that with the iPod, iPhone, and iPad. Isn’t it time technology moved forward with the watch? I don’t know where the company will be taking the Cookoo watch in the future but I think they have made a great start. I can only imagine that the watch will gain more features in the future. It will have to because there is always competition. In order to stay at the top, the watch will have to continue to advance. As for right now, the Cookoo watch has the potential to become the watch of the future! I'm not sure if you can tell this, but the picture above is a screenshot. I took it from Apple's website. No matter how you use your Mac, I'm sure one day you will need to take a screenshot of something. There will be times that you just don't want to take a complete screenshot. You only need one part of what's being displayed for whatever reason. Well, the good news is that these features are already available in Mac OSX. These commands came from MacRumors. For more in-depth Mac screenshot commands, you can view them here. I briefly read about the updates when iTunes 11 was first released. I downloaded it because it was an improvement. Since I can purchase my content on my iPhone and get it directly on the device, I hadn't really tried the new iTunes. Today, I had a bit more time and decided to listen to some music...wanted to listen to T.I. 's new album. I had a few options. I could play it on my iPhone or Apple TV, but I decided to play it on my Mac Mini using iTunes. Initially, I started the album on iTunes using my iPhone with the Remote app. Later, I wanted to change something and I was closer to the Mac Mini so I started messing with iTunes. At first, I wasn't feeling it...I was slightly hesitant to the change. Being a guy, I didn't look for instructions or review the changes. I just tried to use it. It wasn't looking good but then it began to click. It can be a problem when you first use it but after playing with it a little bit, it will begin to make sense. You may even decide some features are major improvements. UpNext - This feature allows you to quickly add songs to your list of what is currently playing. Expanded View - You can view the album cover art, then select it to see the contents on the same screen. Mini Player - This allows iTunes to take up a lot less space on your desktop while still providing a lot of functionality. Here is a good video that covers iTunes 11. If you haven't used it yet or are struggling, this video will help you learn the features. Then you should get more enjoyment out of the program. Let me know what you think about iTunes 11. A new year has arrived! To reflect from an Apple Newbies perspective, it was a good year. It wasn't great but the site is growing and I am thankful for what I have accomplished. The site used to be called Apple Info by TigerDG but this year I created Apple Newbies! I think it has a good ring to it. My focus has been on helping new and experienced Apple product users. The products are pretty great so hopefully, you don't need too much help. If you do, I will post helpful tips and tutorials to keep you productive and enjoying your devices. During the year, I did get side-tracked a bit by providing too much news and rumors at times. I value news and product rumors but there are already plenty of great sites that provide that. In an effort to still provide you news while maintaining focus on great tips and tutorials (with key news when needed), I created the news feed that runs at the top of the page. If you haven't noticed it, it is constantly updating with the latest news from multiple sources to keep you informed. Just click on any article you want to know more about! The latest feature I recently added was the Contact page. Now you can submit any questions or suggestions for Apple Newbies during this new year. I want this website to be a great experience for everyone. Your questions and help will only make Apple Newbies stronger. So cheers to a great new year and seeing what the future holds! Apple has created some great products (iPod, iPhone, iPad) and introduced us to the world of iOS. iOS gave us capabilities on our phones that we didn't initially expect. I mean multi-touch is a great feature! Well, new technology is only new for a short time. After we get used to features we didn't previously know we needed, we begin to think of new ways the technology could be improved. There is always room for improvement, right? Auxo has taken the iOS app switching feature to the next level. I will just cover a couple of quick features because the video below does a great job of walking you through them. Before you even play the video, you can already see the difference. The icons have little previews behind them so you can quickly see what's happening with the app. Another wow factor item is if you try to close an app that is currently running, you will be notified before the app is closed giving you the opportunity to change your mind. I'm always rushing and closing apps on my iPhone only to realize one second too late that I wasn't ready to close an app. The Music and Pandora apps are good examples. They play in the background and sometimes you forget the iOS device is providing the music, especially if you're using AirPlay. I don't want to ruin the video so I'll stop with those two features. There are still more that will interest you. So take a look at the video and let me know what you think. Is this app switching evolution? There have been quite a few users that were unhappy with Apple's Maps app that was introduced this year with iOS 6. It was Apple's attempt at moving aways from Google's Maps app. Lots of people longed for the day they could have Google Maps app once again on their iPhones. Well, the wait is over! Now, you can download the Google Maps app for your iPhone. It should work on the iPhone 4 as well as the iPhone 5. The learning curve should be simple since most iPhone users were using it until Apple released its Maps app. The link below provides all the details for Google Maps app. This is exciting news! It's only minor news technically but it makes my mind wander about what this could mean in the future. 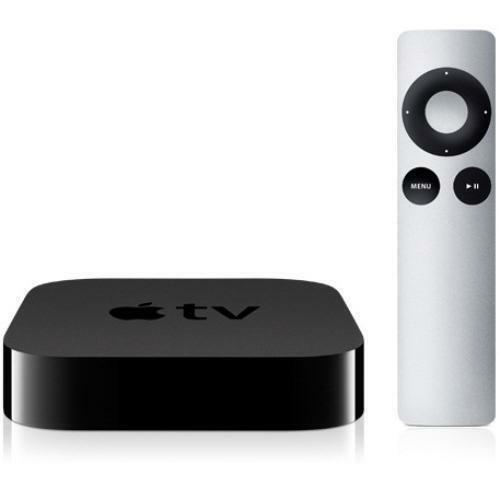 Apple's next iOS update to the Apple TV is expected to bring Bluetooth keyboard support. Normally, the Apple TV is fairly easy to navigate with the remote but when you have to search for something, the process is lacking. You have to arrow up, down, and side to side to get to each character and then press enter. With a keyboard, you just type as you normally would. This would definitely help the search function. Now, my mind is wandering in the direction of thinking Apple is moving towards having a web browser added to the Apple TV. This is just speculation on my part of course, but how cool would that be? I understand some users have had this feature for a while by jailbreaking their Apple TV 2 or earlier editions and adding Couch Surfer (I think that's the name). Since the Apple TV 3 has not been jailbroken yet, this is not an option so I'm excited by the possibility of what could follow the Bluetooth keyboard support. Sorry, not trying to start the next rumor. I'm just stating where I think Apple is heading. I could be completely wrong. Hopefully not. Let me know your thoughts on the matter. Below is the complete article. Whether you are a PC or Mac user, you can appreciate this. 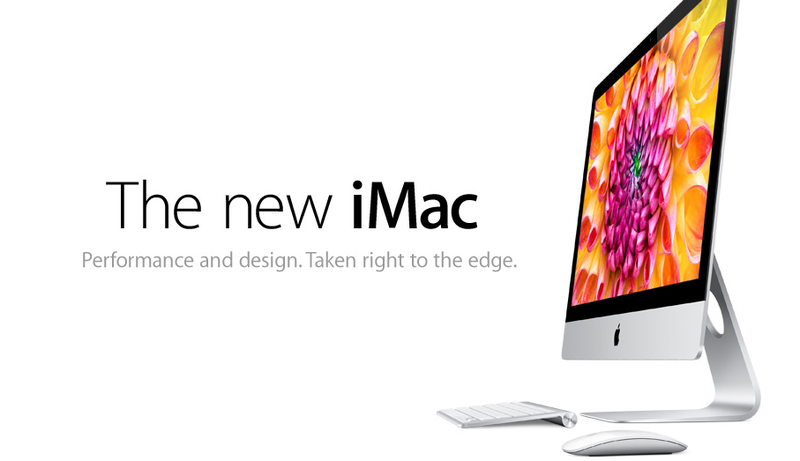 The new iMac is now available for purchase. I'm excited about the beautiful design. This is expected from Apple but honestly, it did catch me by surprise when it was revealed. I don't remember seeing anything in the rumor sites before the unveiling. If you or your family and friends are looking for an all-in-one computer, I think this will be a great choice. Apple has once again set the standard. Due to competition, expect other companies to follow with their designs...so PC and Mac users can benefit. The most exciting part is the design of the iMac but Apple did make other improvements such as reducing glare on the display. If you like the details of how it performs, you can find the benchmarks below. Also if you haven't done so, make sure you look at the video above. Also, in news, Apple released iTunes 11. It's about a month later than originally expected but hopefully, that is so Apple could release a polished product. They don't need another Maps incident. Apple's plan with iTunes 11 is to have a more simplified design for ease of use. I've already downloaded it but haven't had a chance to play around with it yet. Look at the links below for more details. "What's New?" will take you to Apple's site where you can watch their video explanation. Now, don't forget. If you're upgrading to iTunes 11, make sure you upgrade your Remote App and AppleTV also. The last update is that Apple now has unlocked iPhone 5's for purchase online. This came a little late for me since I just went under contract with my iPhone 5. You could already buy unlocked iPhone 5's in the Apple Retail Stores if they were available. With them now being available on the Apple Online Store, you should be able to reserve them for next day pickup in the Retail Store. Don't quote me on that one. Of course, if you buy the unlocked iPhone 5, you will have to pay more upfront but it will give you flexibility in choosing service providers. If you make the right choice and calculate over a 2 year period, you may actually save more than with a contract plan. You can follow me on Twitter (@TigerDLG) or Google+ and direct message me for service provider tips. Buy Unlocked iPhone 5 in U.S. In 2010, Apple introduced the iPad took the world by storm and began the transition to tablet computing. Often, I thought the iPad could not do all the things that a computer could do. On the other hand, there are just so many apps available! They make the iPad powerful and flexible. iPads may all look the same without special cases or covers, but the apps chosen reflect the individual user. It's almost hard to believe we are on the 4th generation of iPad. As many people continue to buy iPads for the holidays, I just want to show you a few videos demonstrating the technology we now have with the iPad. I haven't really used Mission Control on my Mac very often. I think that was because I hadn't spent any time to learn about it. After taking the time, I can already see ways that it can help me improve my productivity while keeping my workspaces neat and tidy. If my computer were a desk, it would be a cluttered desk. Mission control clears up the clutter. It may take a little bit of time to get used to but I think it will be beneficial. The videos below offer a quick tutorial (1st one) to get you started or a more detailed tutorial (2nd one) that covers gestures, special keys, and even settings to use. So, it's your choice. You can learn and implement quickly or you can dive deeper and master Mission Control. "Master" may be stretching it. Enjoy! Happy Thanksgiving! Today is a special day. It is a day we can spend with our families and friends. A day that we can reflect on the year and appreciate the great blessings we have received. Apple launched two new iPhone 5 commercials with the titles of "Orchestra" and "Turkey". The first one focuses on how the iPhone 5 reduces background noise during calls. The second commercial focuses on using Apple's Photo Stream sharing feature. Both features are interesting and add to the value of purchasing an iPhone 5. So without further ado, take a look at the commercials below and decide if they are up to Apple's normal standards. Recently, we haven't heard many rumors about Apple creating a television set. The device was being called the iTV in previous rumors. In the past, it seemed like the rumor was gaining momentum but the last rumor I heard was that there were delays in content contracts. Now that the iPad 4th generation and iPad Mini have launched, MacRumors has posted the first new Apple television rumor I have seen. The article discusses that at least one major cable company is looking into the potential impact an Apple television would have on its network infrastructure. 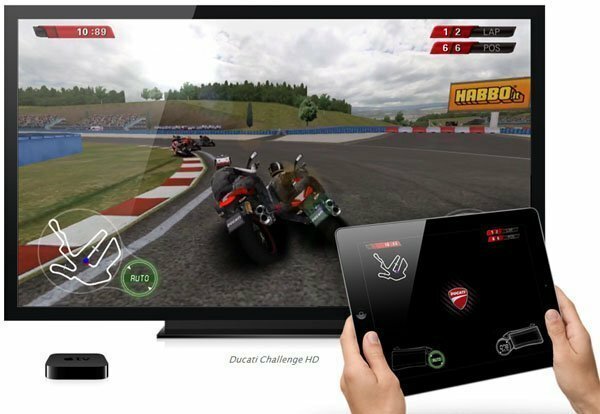 It also mentions that it could be an updated Apple TV or an Apple television coming out. There is no mention of a release date. I guess we will see if Apple has one more event planned for this year shortly. If they want to launch a device for Christmas, time is running short so they would need to host an event this month. I'm not sure that would even be enough time. It may be more likely that Apple will launch early in the New Year. Right now, this is all speculation. I'm just kind of throwing out some ideas. I would like to see what Apple would create for a television after I saw what they did with the iMac. More details are in the article below. Read through it and let me know what you think. Do you think Apple will and/or should launch a television? When it comes to hard drives, most people prefer the speed of SSDs (solid state drives) but the storage capacity of traditional hard drives. Apple's Fusion Drive combines the best of both worlds by taking a SSD and a traditional hard drive, then making them appear as one hard drive. The new Mac Minis come with a 5400 rpm hard drive which is good to conserve energy but not good for performance. By adding Apple's Fusion drive software and a SSD to the Mac Mini, the little computer becomes a powerhouse. Just check out the video below. If you take a look at the link below as well, make sure you read the comments. I think one of the commenters provided a really nice explanation of how Fusion Drive works. He mentioned that data goes to the SSD first providing the speed and performance. Then as the SSD fills, the data overflows into the traditional drive extending the storage capability. For me, that provided a clearer picture and better understanding.